If you require assistance with .bar domain registration, please contact our helpdesk via email or telephone. .bar is the cultural hot spot for everyone within and touched by the hospitality industry. It is the perfect domain name for every business that knows the perfect way to mix up a cocktail, wanting to show off their extensive wine list and to easily reach today's health conscious community with inspiring smoothies. .bar is the extension for the entrepreneurs who make barista perfect coffee, high class sushi or even for those who love to review and blog. We are pleased to announce that .bar domain names are now officially available to order! Domains such as .bar, .club, and .london make it easy for your website visitors to know exactly what you are offering, allowing you to get your message across much quicker. All .bar domain registrations include free DNS management tools and redirection services to ensure you can maximize your usage. Your dream .com domain name is probably long gone. Thankfully .bar domains have opened up a whole new world of possibilities. Register your own .bar domain name today! Order your .bar domain names in Bulk, simply enter your names below (one domain per line). On June 13 2012, ICANN have announced 2000+ domain name gTLD applications and .bar is one of these New Top Level Domains. 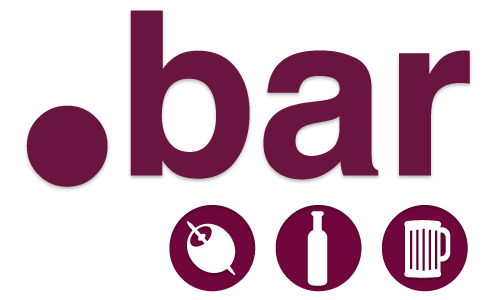 Pre-Register your interest for .bar with Instra to receive updates on the progress of this new Food related New gTLD along with your opportunity to register your desired .bar if it becomes publically available for registration.